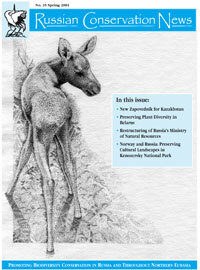 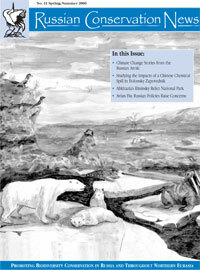 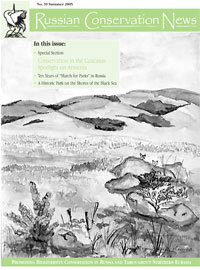 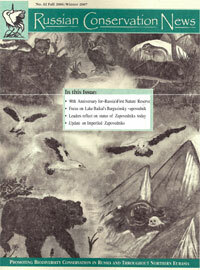 Russian Conservation News is an English language journal featuring articles, illustrations, photos, and maps on biodiversity conservation in Russia and Eurasia. 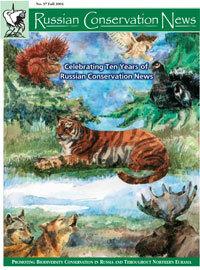 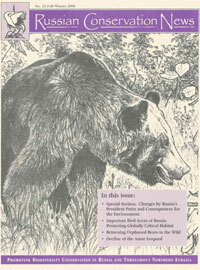 Russian Conservation News was created in 1994 by the Center for Russian Conservation to address the information gap between Russia and the West; to educate the west about current events in the conservation sector; to encourage partnerships across political borders; and to provide a voice for our Russian-speaking colleagues wishing to share their news. 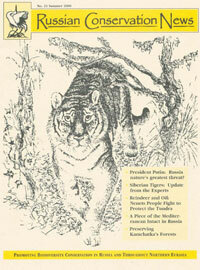 Additionally you will enjoy beautiful drawings and photographs by well-known artists and photographers. 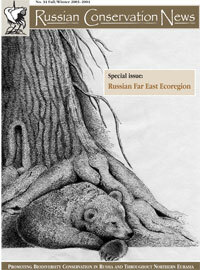 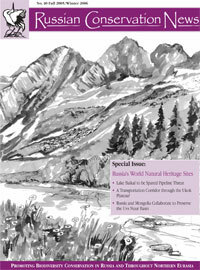 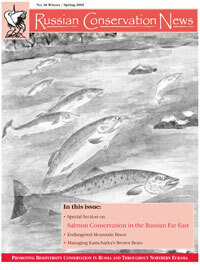 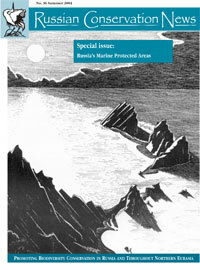 Each issue provides information on how to contact people and places mentioned in the journal and features a special section with the latest publications and announcements on Russian conservation issues.